COTA NT is thrilled to announce they have been successful in their application for a Northern Territory Government Community Immediate Works Grant. These funds enabled COTA NT to commission Nightcliff Builders to undertake much needed and essential electrical, plumbing and building works. Over the next few weeks, seniors may notice some interruptions in COTA’s normal programs, although staff and volunteers will be working hard to minimise any inconvenience caused by works. COTA’s CEO, Sue Shearer says, “We are really pleased with the outcome and welcome this support from NT Government. 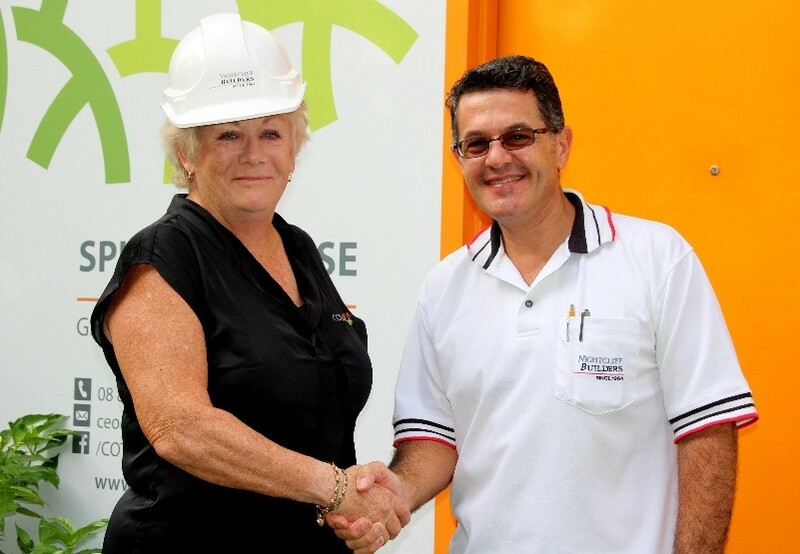 Filimon Siskamanis from Nightcliff Builders is looking forward to working with the COTA team to bring Spillett House up to date and provide a more comfortable environment for seniors.